Our library is located on an area of 1315 m2. It has a lounge for155 people and a collection including 16.552 books. There are 12 Internet-enabled computers in the library which is subscribed to 30 periodicals. The publications in the library are placed as open shelf according to Dewey Classification System. 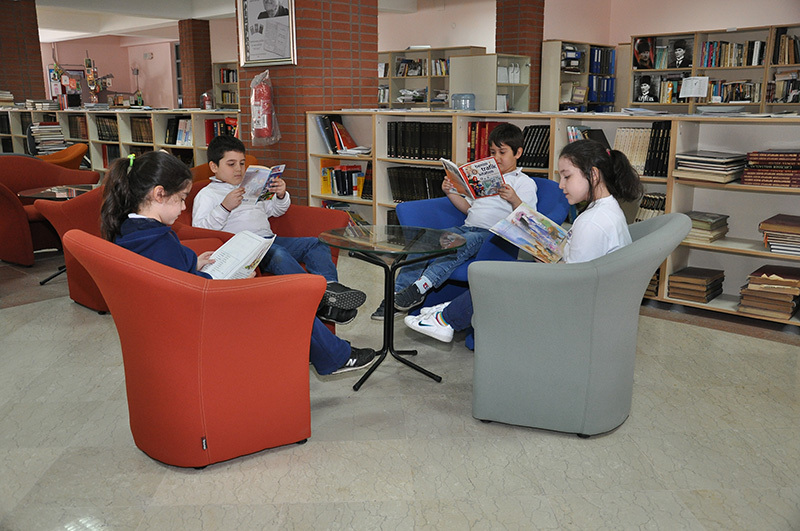 The purpose of the library is to help to raise the students who can think scientifically, having democratic manners and reading habits who are eager to learn, search and use advanced technology and aware of their rights, duties and responsibilities in line with the general purposes and principles of Turkish National Education. The Library and the Learning Center work for meeting the needs of the students, teachers and personnel and guiding them to access the information in shortest time.